Victories in Russia and Singapore have seen Mercedes’ Lewis Hamilton jump even further ahead of Ferrari’s Sebastian Vettel for the Driver’s Championship as the Formula One Grand Prix arrives in Japan at the Suzuka circuit this weekend. It might seem unfair, but Mercedes took the perfect approach in the Russian Grand Prix last weekend. Valtteri Bottas, who managed to start in pole position last weekend, was the effective driver during the midpoint of the Formula One race, but when Lewis Hamilton moved into the second position, Bottas started to come under pressure as the Mercedes team ordered Bottas and Hamilton to swap their positions. This allowed Hamilton to claim his 8th victory for the season which also allowed him to extend his lead over Vettel by 50 points. It was obviously very disappointing for Bottas who managed to enjoy his best weekend since the start of the season and could have claimed his first victory in 2018. You might argue that 43 points in the Driver’s Championship is more than enough for Mercedes and Hamilton to claim the title, but they decided to take the extra 7 points just in case it wasn’t. 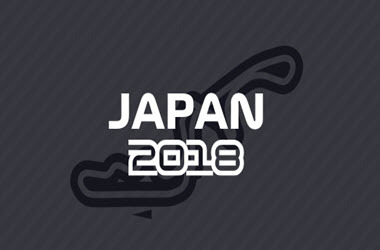 The Japanese Grand Prix this weekend will be the 5th last race in which Vettel can still claim 125 points to continue his battle with Hamilton for the title. Therefore, if the similar situation occurs in Japan, you can be sure that Mercedes will make the same call. Bottas is an extremely good teammate, and once Hamilton has a comfortable enough lead, he will surely help Bottas claim a win before the season ends. Six races ago, there’s no denying that Vettel was favoured to see him winning his 5th World Championship. His car was the fastest on the grid, and he was driving extremely well. But since his devastating crash in Hockenheim, Ferrari and Vettel have been on a slide. It was then a 9 point lead over Hamilton which soon turned into a 50 point lead for Hamilton over Vettel. Vettel needs to focus on the 125 points still up for grabs and ensure he takes care of business at Suzuka where he managed to win a total of 4 times in the past. If he can’t accomplish a victory over Hamilton, the Driver’s Championship will be lost for the season. Fortunately, fans remain positive as one retirement from Hamilton will ensure that Vettel is back in the race. Hamilton is obviously the favourite when it comes to the world of betting. Hamilton is paying 4/5 to win the race, while Vettel is paying at 2/1. Should you predict that Red Bull will claim their 4th win of the season, you’ll notice that there’s loads of appealing odds on the Red Bull drivers. Daniel Ricciardo is at 18/1, while Max Verstappen comes in at 16/1.